The ups and downs of the gardening world. I trialed a new eggplant this summer and fell in love with it! Called Little Prince, it produces quantities of glossy three to four inch ovals that are perfect for stir frying or roasting. 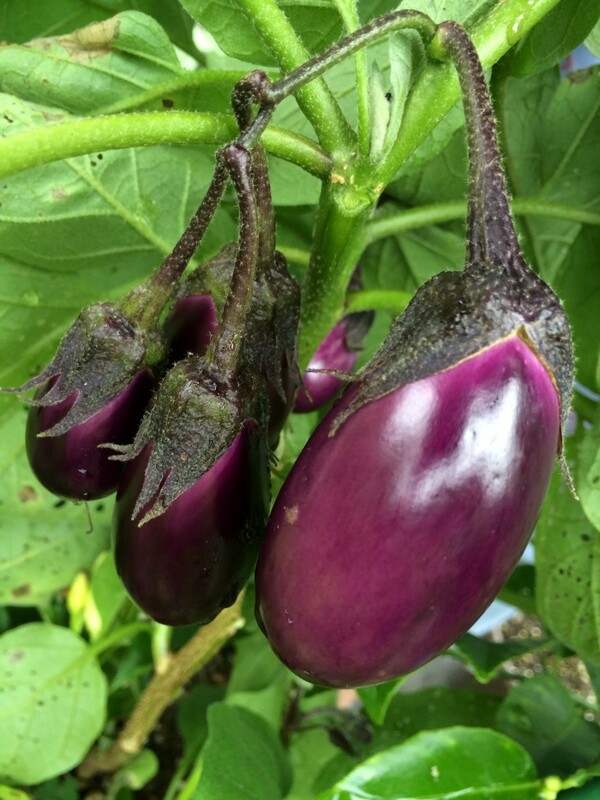 Little Prince is a very early and highly productive eggplant with a compact habit, making it a great choice for containers or in small gardens. 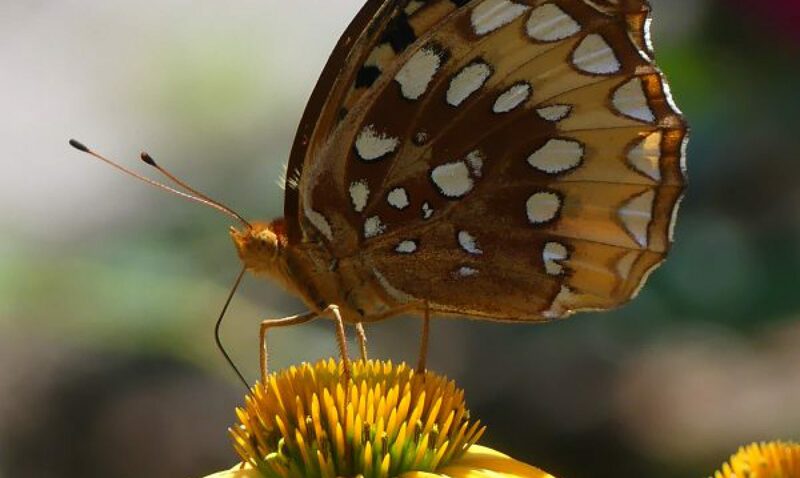 A member of the nightshade family or Solanaceae, a plant family that includes eggplant, peppers, potatoes and tomatoes, the term ‘nightshade‘ may have been coined because some of these plants prefer to grow in shady areas, and some flower at night. Deep purple, egg-shaped fruit should be harvested at baby size-3 to 4 inches, and are delicious roasted or in dips and salads. Thornless leaves and calyxes allow for painless harvesting and makes Little Prince child-friendly, too. Plants will continue to produce fruit throughout the entire season. Still susceptible to flea beetles which can decimate the leaves, older eggplants can sail through this but young plants will usually die from the effects. Flea beetles, tiny black insects that pepper the leaves of eggplants with holes can be a problem. A good control is using yellow or white sticky traps around your eggplants to catch the flea beetles. Give the eggplant a gentle shake- the flea beetles will jump off and land on the sticky paper squares. Place several of these around your eggplant for a good trapping system. Praying Mantis take care of flea beetles on my eggplants. It is interesting to watch these voracious bug eating machines go after them. Susan, Yes, it produces many of them. Glad that you enjoyed them! I ‘might’ have grown these also…since I didn’t write the variety down, out of sight-out of mind, but they are small, very small, and look a lot like your photographs. Previous PostPrevious Some Like It Hot-Tomatoes Do Not! I am a 'down to earth' gardener with perpetually dirty fingernails. I own a whole wardrobe of well worn and comfortable gardening duds and I am a sucker for gardening gadgets galore! I love to blog about the gardening world, it's fads and trends and have personally killed most plants at least once. I am a gardening designer by profession but there is no rhyme or reason to my own garden. If I want a plant, I buy and stick it somewhere just because I 'need' it! Gardening is my passion and I find it leads you to other interests, such as cooking, entertaining, decorating, and flower arranging. So, stay tuned! Containers With Pizazz ! Not Your Ordinary Container!